Please note that as of Jan. 26, 2018, University Development and Alumni Relations is located at 1995 University Avenue, Suite 401, Berkeley, CA 94704-1058. University Development and Alumni Relations, formerly named University Relations, increases support for and enhances knowledge of UC Berkeley through communications, public outreach, and fundraising. The department is responsible for centralized fundraising and donor engagement, and works to strengthen unit development offices by consulting and partnering with campus fundraisers. University Development and Alumni Relations also handles a range of central activities and services encompassing events, communications, stewardship, prospect development, gift management, database management, and more. 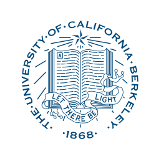 University Development and Alumni Relations encompasses the UC Berkeley Foundation (UCBF), a California nonprofit public benefit corporation established to secure support for the University. The UCBF is also Cal’s primary vehicle for enlisting fundraising volunteers from the private sector. The UCBF is staffed by University Development and Alumni Relations leadership. UC Regents. All rights reserved.